As we plan our travels for this year, we’re slowly starting to roll out all our travels from the last year. We know right? So typical of us, always behind! But it makes for some great trip down memory lane. So why don’t you join us in reminiscing about our trip to Nashville around this time of the year last year. Some of you may know already that we love celebrating things. Whether that’s birthdays, anniversaries, promotions, and even little things like a nice summer day after a long winter season. So when it came this time last year to celebrate our best friend, George’s birthday, we wanted to do something with him to celebrate. He picked Nashville so we got excited since we’ve heard great things and we’ve been meaning to check it out. Jon found this cute Airbnb listing, a beautiful downstairs renovation with easy parking and a firepit for the non-winter months. Since we were only there for a weekend, we stuffed ourselves as usual and went to all these amazing places. 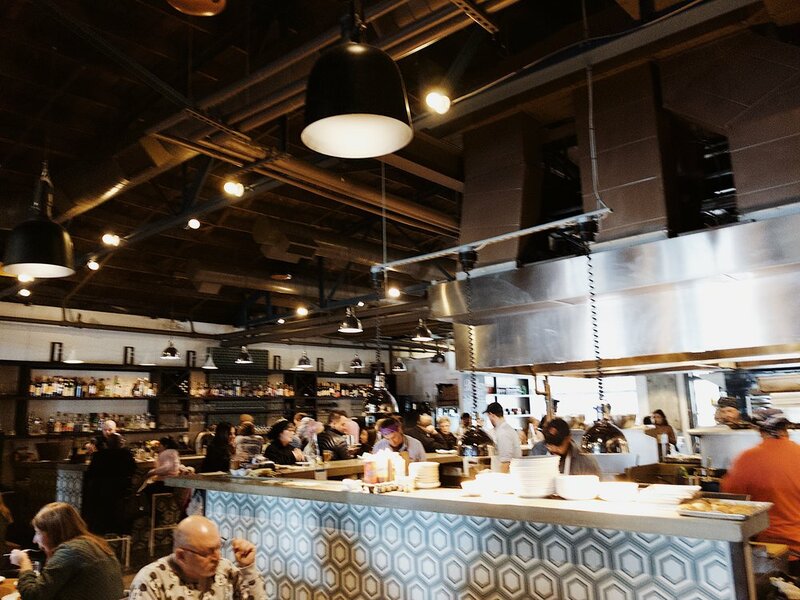 Henrietta Red was our first stop when we landed, and it was such a beautiful space with inventive New American cuisine. If anything, try the Smoked Mackerel Toast. 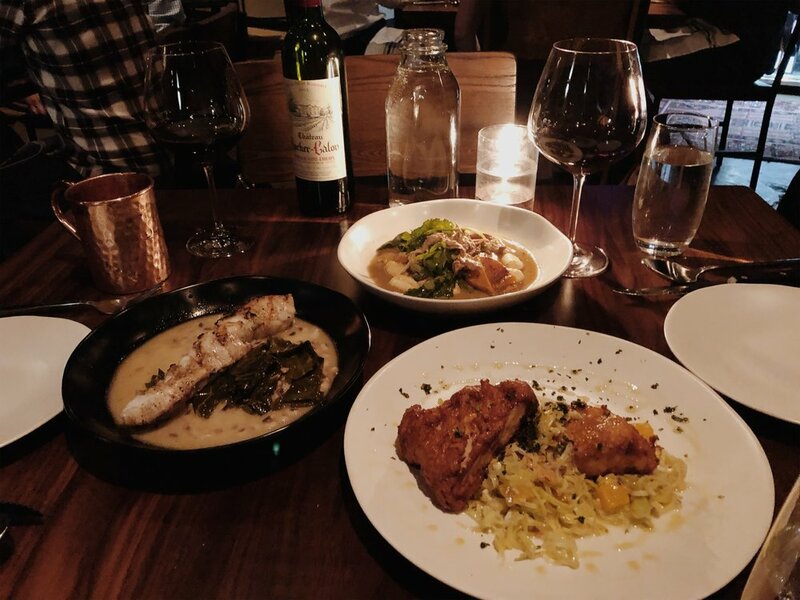 Butcher & Bee is kind of a Mediterranean-Southern fusion, and definitely felt like the workings of modern cuisine in the south. You can’t go to Nashville without trying one of their infamous Hot Chicken spots. We checked out Hattie B’s, which was phenomenal, but there are so many styles it’s worth making room in the tummy for a few locations! We came to Kitchen 404 for George’s birthday dinner. Beautiful bar, and you can’t go wrong with high end southern dining. Husk is probably the best known restaurant that we checked out. All the hype is real. The food was so inventive and non-standard. If you like heavy foods and cocktails, this is definitely a must-go. We went during winter, we didn’t get to explore much but we had such an awesome time in the Downtown area where all the live music where. Just walking up and down Broadway you’ll find all kinds of music and bars with cheap eats. We definitely recommend you checking that scene out.